This review is for four masks I received as a sampler from Melody Skincare & Cosmetics. 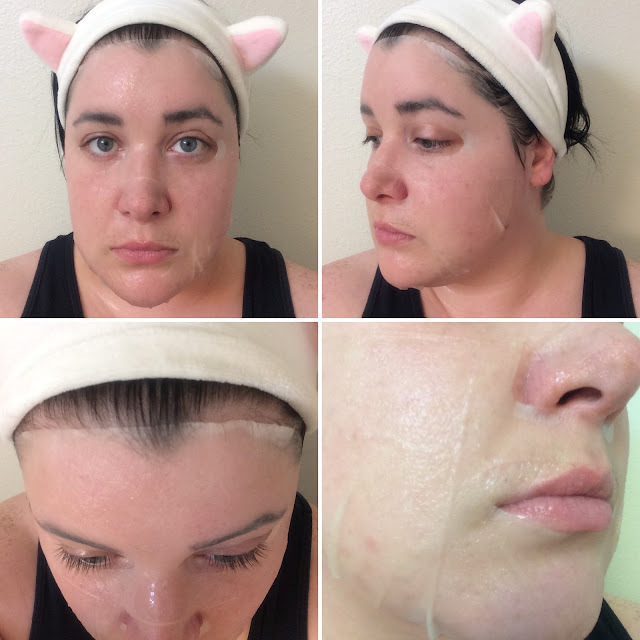 Margaret is a super sweet shop owner and having ordered from her in the past, I was thrilled when she asked if I'd be interested in trying out these new two-step masks she recently added to her site. I've been giving my initial impression on my Instagram recently, but in this post I'm going to share additional photos and a purchase link to grab some for yourself while they're at a great introductory sale price! This mask is designed to brighten your complexion and even our your skin tone. 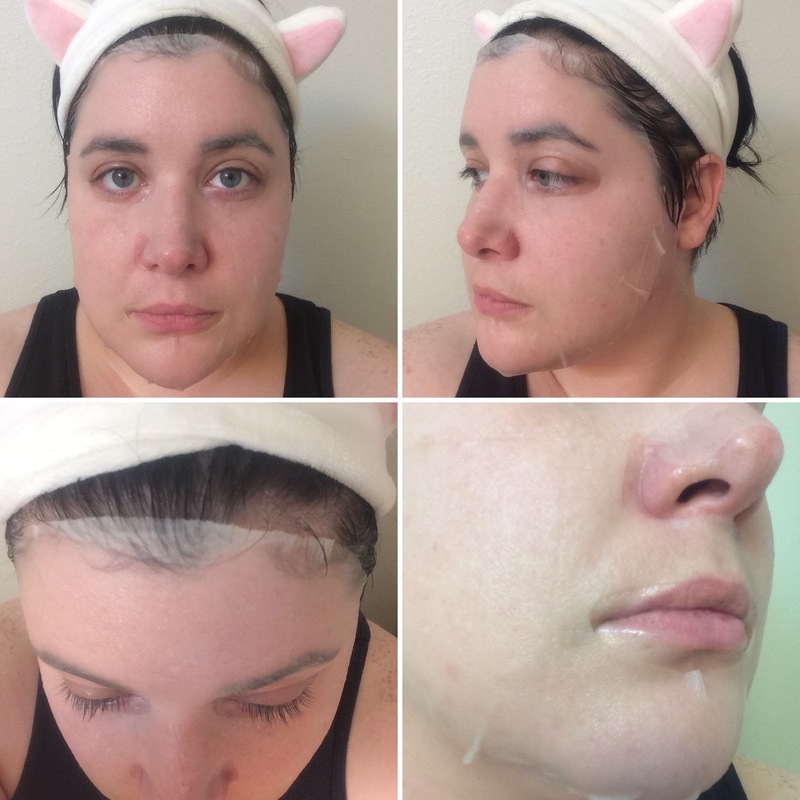 For this, and the other masks in this review, the directions are the same. You apply the ampoule (step one) after cleansing and toning your face - I also applied my acids beforehand as well (AHA and/or BHA, plus tretinoin). 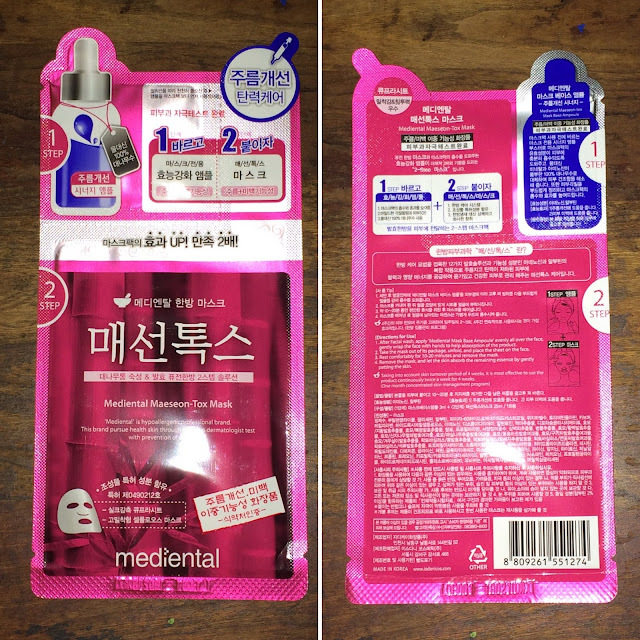 While your skin is still damp from the ampoule you'll remove the mask from the package and apply it to your skin. Relax while the mask is on your face - 10 - 30 minutes is a good rule of thumb, but I sometimes go even longer. Remove the mask and pat in the remaining essence, then continue with your routine. 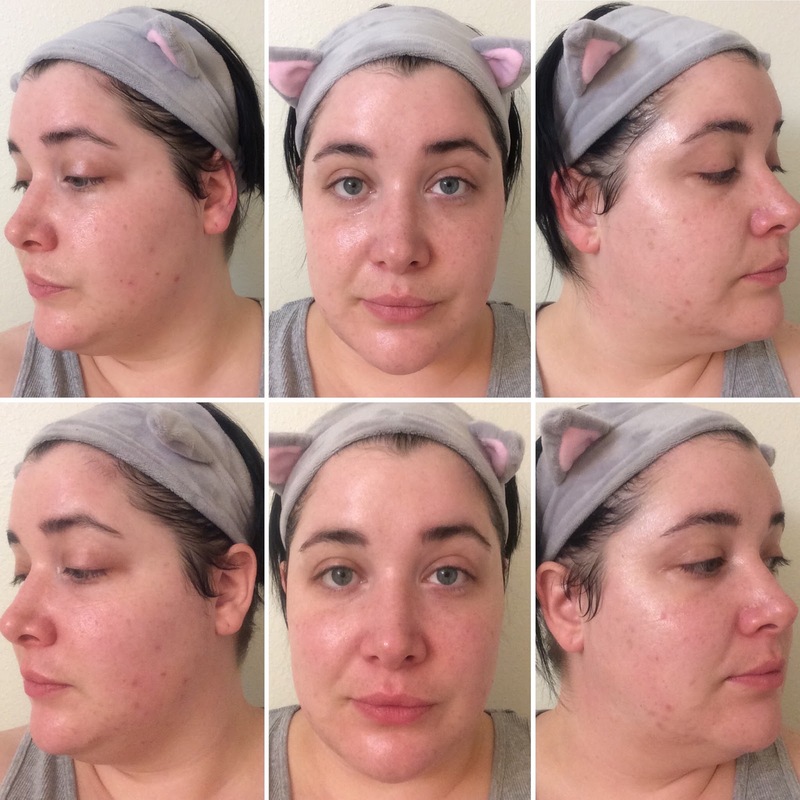 The ampoule is like a thick gel, and turned my skin into a nice canvas for the mask - by applying the ampoule first you are making your skin moist and allowing it to be able to absorb better. This lets the mask essence soak into your skin nicely and more effectively. The mask material is a dense cellulose fabric that adheres to my face like a second skin - the fit is absolutely incredible! The material is thin - but it is dense enough to be strong and durable, it doesn't tear easily. 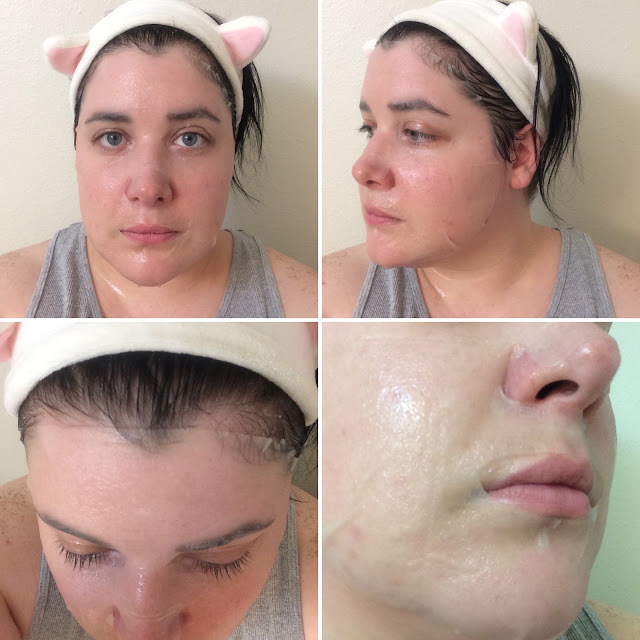 I wore this mask for about 45 minutes, though there was still enough moisture for longer) and was very pleased with how much brighter my complexion looked. When I walked into the bathroom, my skin genuinely looked luminous. 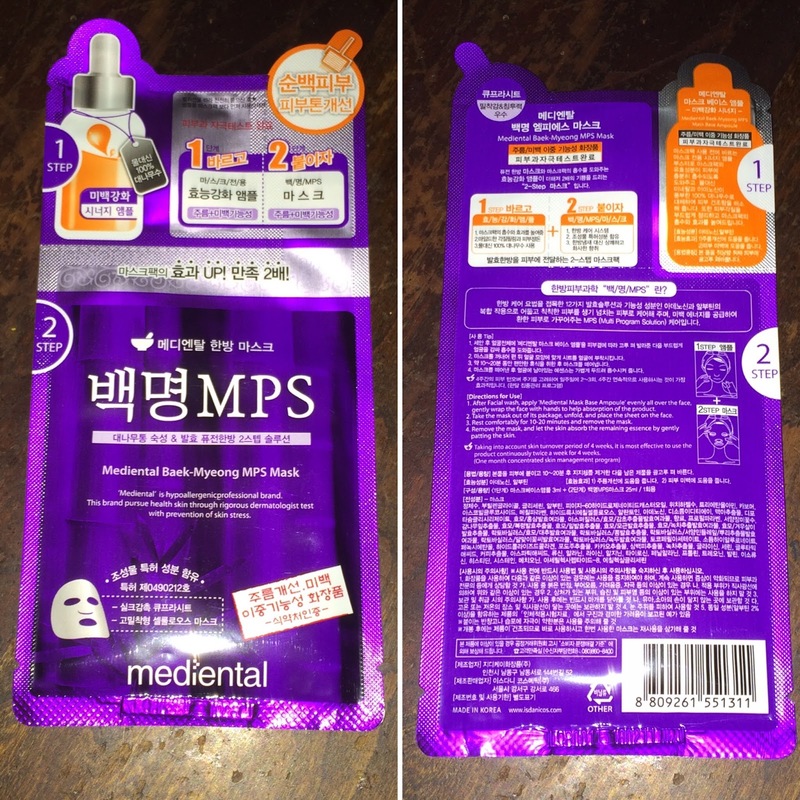 This mask also left a hydrating layer of essence on my skin, even after patting my face for a while. I enjoyed this for my evening routine, and found that it absorbed just fine after massaging in a cream afterwards or just soaked in overnight. Description: Designed to calm irritated skin, control oil production, and tighten pores. 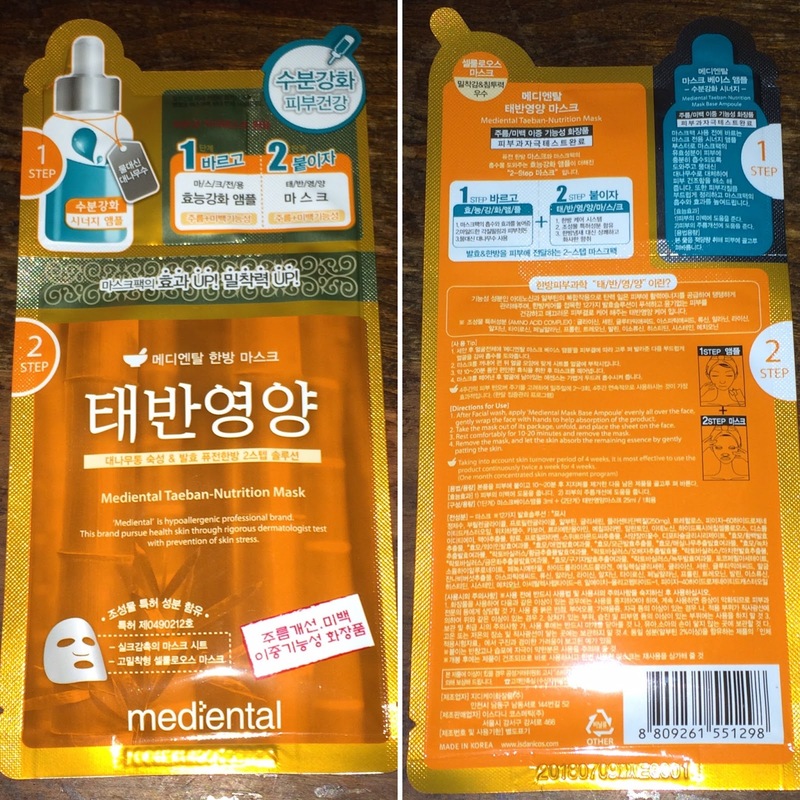 This mask has a slightly difference ampoule but it has the same light scent and thin gel consistency as the others. The mask material is also the same. 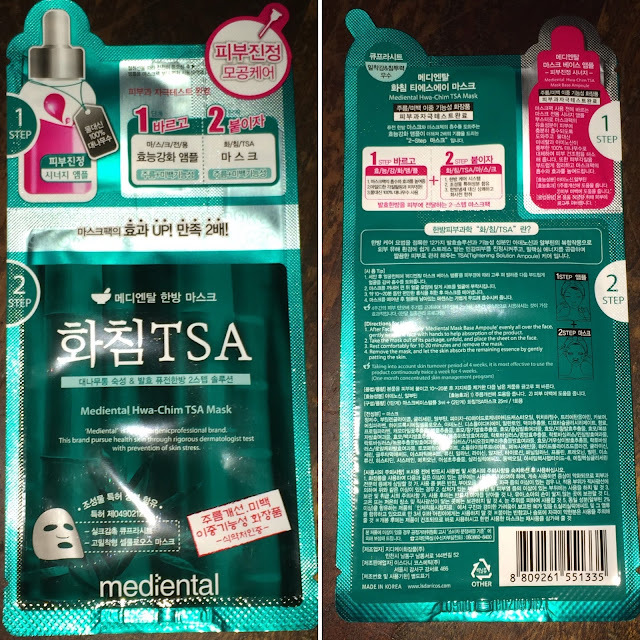 I wore this mask for about 40 minutes and found that the same hydrating layer of essence was left on my skin. 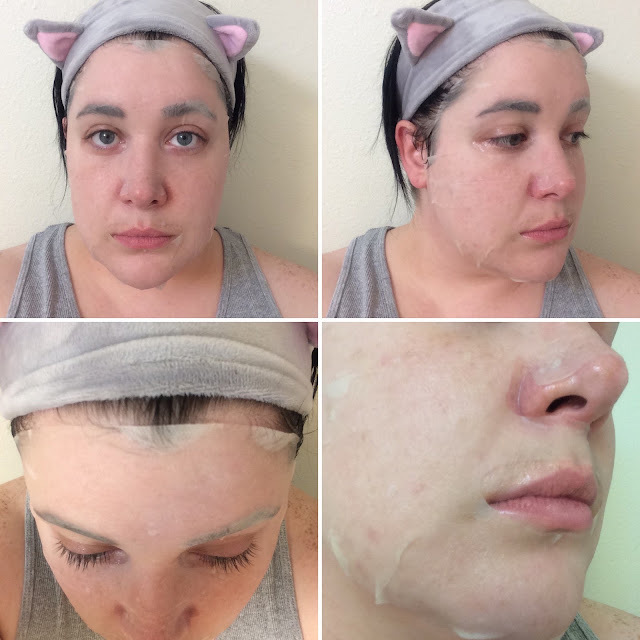 My pores are not a huge issue for me at the moment but I do feel like they looked a little smaller around my nose upon removal. The big winning point for me with this mask, was that the next morning there was no excess oil in my t-zone! My face was not dry at all, but the fact this I didn't wake up to an oily mess around my nose and forehead makes me confident that this mask really does help with oil control. Designed to plump fine lines and wrinkles, and firm saggy skin. This mask has a slightly difference ampoule but it has the same light scent and thin gel consistency as the others. The mask material is also the same. I wore this mask for over an hour (!) and found that the same hydrating layer of essence was left on my skin. When I removed this mask my face was plump, hydrated, and bouncy. Designed to nourish and moisturize all skin types - especially dry skin. This mask has a slightly difference ampoule but it has the same light scent and thin gel consistency as the others. The mask material is also the same. I wore this mask for about 45 minutes, but could have worn it longer, and left a slight amount of essence on my skin. 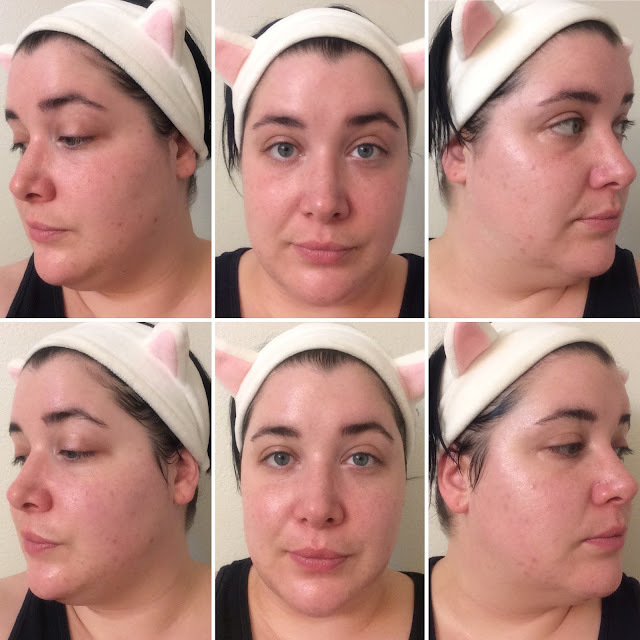 When I removed this mask my face looked brighter and more plump, and felt pleasantly hydrated. 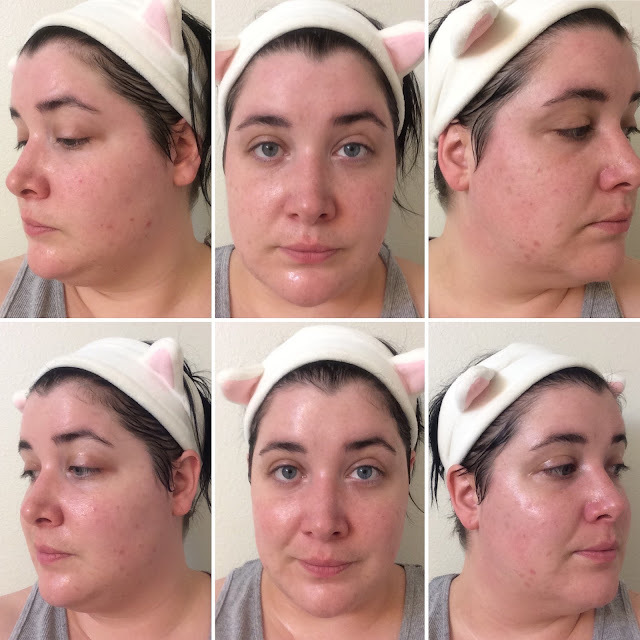 This mask gave the highest moisture reading on my moisture meter, and gave the biggest increase in moisture to my skin during the masking time as well. Having oily skin, I can definitely say that I see this being a good moisturizing mask for all skin types. This was a great sampler of masks to try. 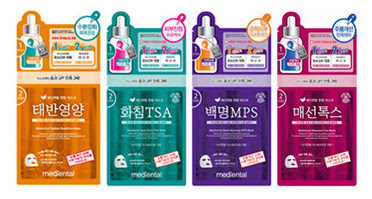 Mediental was a completely new brand to me, and I am usually nervous about the ingredients in two-step masks - but these were a real treat! 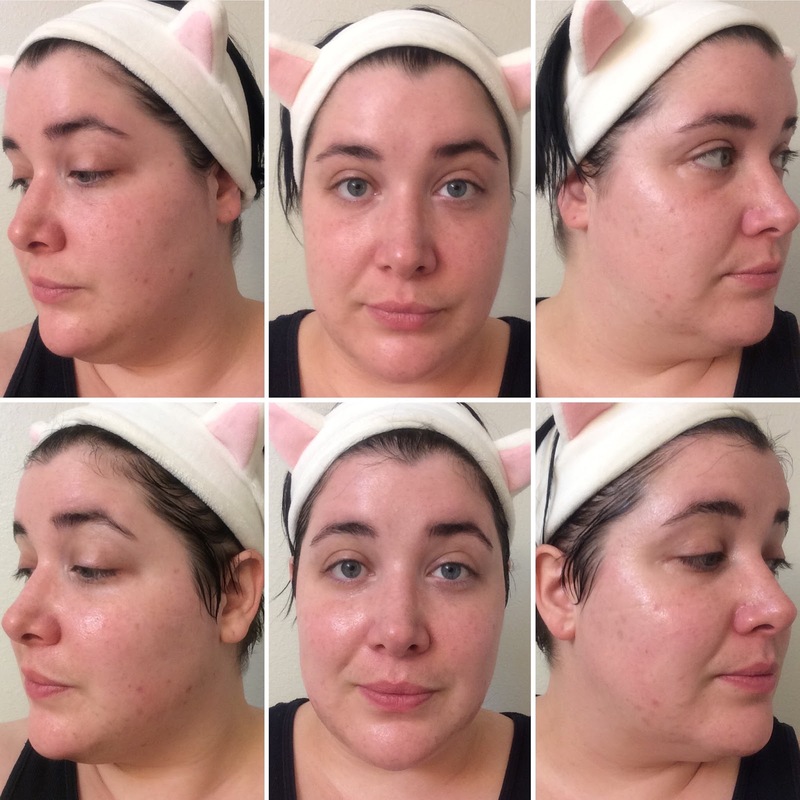 They offer great ingredients without any real irritants, and give real results to my skin. My favorites are the Baek Myeong MPS Mask and the Taeban Nutrition Skin Renewal Mask, but all four are on sale right now at Melody Cosme! 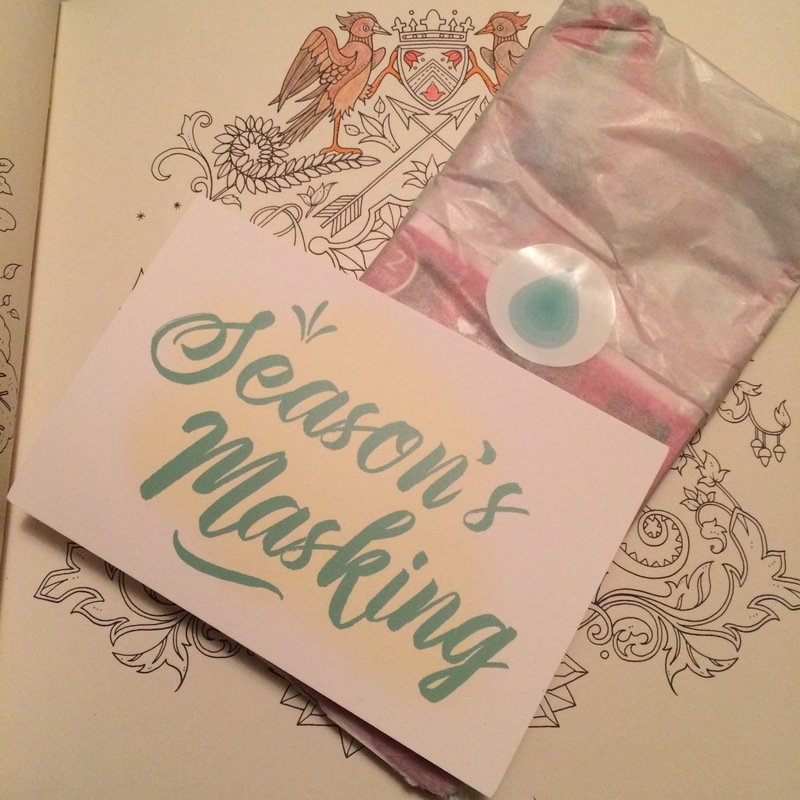 Head over to Melody and grab a sampler of the same four masks I reviewed here for just $10! Or individual masks for $2.50 each. I need a good face mask... I am going to have to try these out. I really need to be taking better care of my skin. I haven't used a facial mask in years. It is good to know there are some that are good for the skin. I will have to check these out.